Comments: I had to bend the trim tabs down several times before I got it to quit porpoising. It was just me 170lbs, small tool bag 12lbs, 3gal fuel tank 19lbs roughly, and a small U1 deep cycle battery 25lbs roughly. 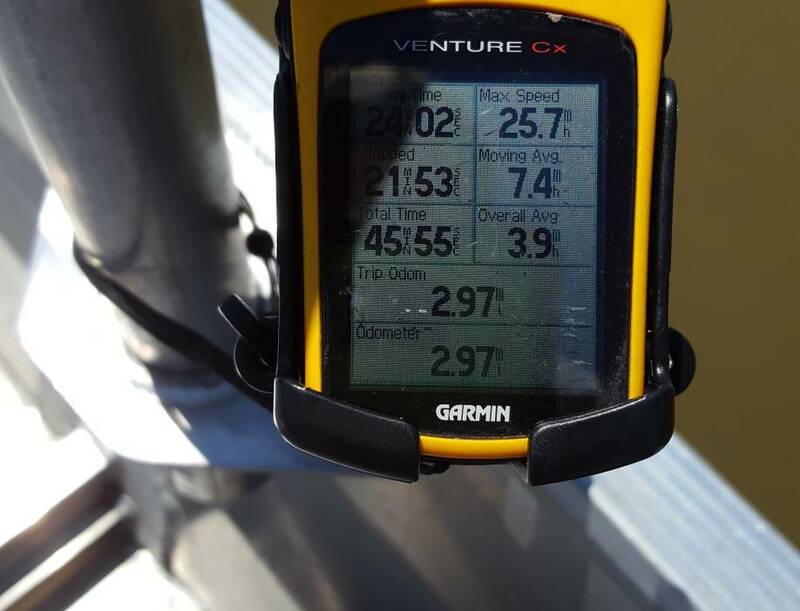 I was bumping the governor on the top speed so I backed down on the rpm and tried to keep it in the 4000-4200 range but it was hard to read and run standing up at the same time. The max recall rpm on the tiny tach was 4700 and I called Copperhead to verify that was accurate and possible on the LCT. I think I am going to try more forward weight, possibly a group 24 battery and a 6gal fuel tank. I may simulate that first with my cooler and adding water a gallon at a time. I still don't think the motor is trimmed where it should be. The guys at Copperhead suggested that I change the angle slightly on the hiem joints to push the lower one out and level the motor more. This boat runs faster than I care to or expected. I am still figuring it out as well but I am very happy so far. Do you have any pictures of your rig? I need to get some next time I am on the water, hopefully later this week. I decided against the 6gal tank, this thing uses so little fuel it would go bad before I could use it all. I talked to Copperhead and they think I would benefit from their earlier style pivot bracket. 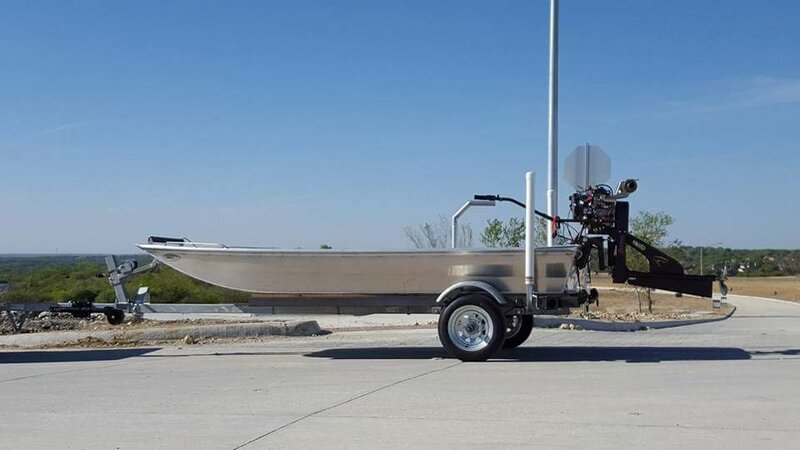 It would move the motor closer to the boat. I am definitely going with the group 24 and possibly the group 27 if the price is close to the same. I am going to play with the heim joint and move the lower one out a 1/2" to flatten the angle of the motor. Worse comes to worse, the guy's at Copperhead said I could come back down and they would help me dial it in. Couldn't ask for a better group of people to do business with. Thanks Will, I get a lot of questions and comments on it. I just want to get it dialed in perfectly. Bad to the bone little rig Darryle. 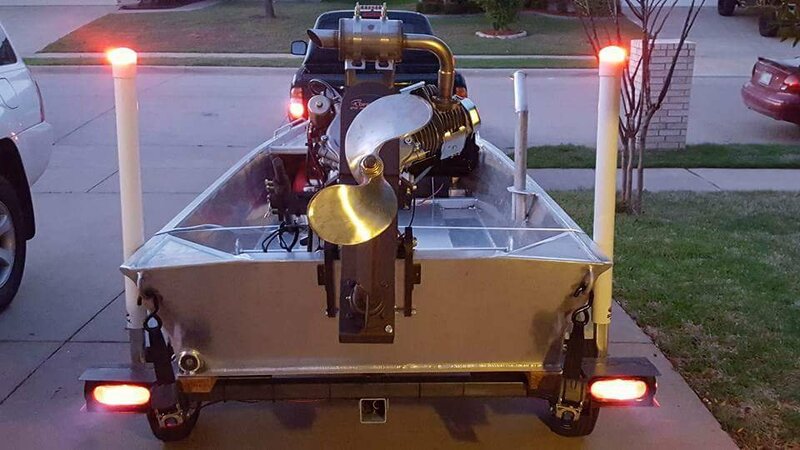 You need to get with Nick Willey and see what your hull would do with the Willey Fast Copperhead '12hp'!! Whats the specs on your hull? .100 bottom and sides? How many stringers? Rake length? Bow width? Total hull weight? It sounds like a performer if you hitting mid 20s and still fine tuning. Is there anything you'd change about the build at this point? I'm close to pulling the trigger on a hull for my Copperhead 12, leaning towards a 1444 .125 at this point. Thanks for your input in advance! I dialed it in a little better before I painted it and I was seeing mid 27's now and bumping 28 occasionally. I pulled the 12hp off and have a 7hp Copperhead I am going to try on it, if it will plane out and run decent, I am going to have a 1444 or 1544 built for the 12hp motor.